Welcome to Dr.Bob's .NETworks, an Amazon.com associate and award-winning website hosted by UK-BUG (UK Borland User Group), containing the latest news, press releases, technical articles, book reviews, tools, third-party tool reviews, and news on conferences & events for .NET Framework and .NET development tools such as Borland's Delphi (for .NET) and C#, with technologies like ADO.NET, ASP.NET, SOAP and Web Services. The mirror at http://www.drbob42.co.uk is hosted by TDMWeb. Looks promising! UI is not what we're used too, but looks nice. Couple of cool things I noticed just from watching the demo. 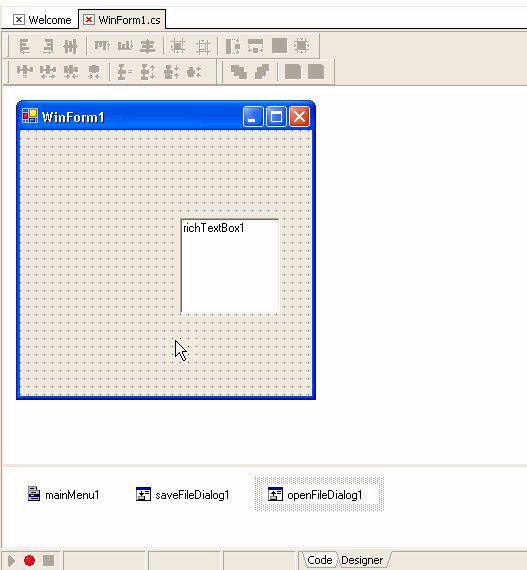 The IDE starts off with an HTML-based Welcome Screen in the IDE (this is not the splash), which gives it a nice clean appearance (rather than the empty canvas we are used to with C++Builder). Basically what you get is a "history" browser (in the middle of the IDE) allowing you to select recent projects, tutorials, example code, and HTML links. 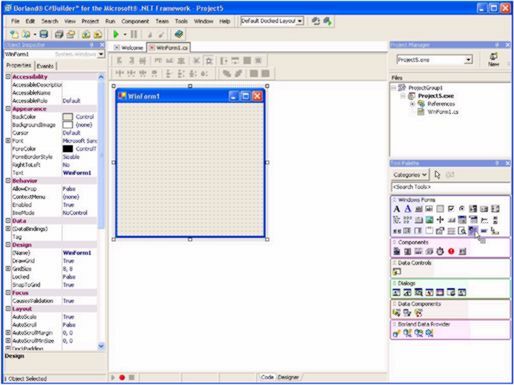 In fact, the Tool Palette provides components that are exclusively HTML elements in the opening window. Wonder, if this means you'll be able to use C#Builder for simple HTML development. 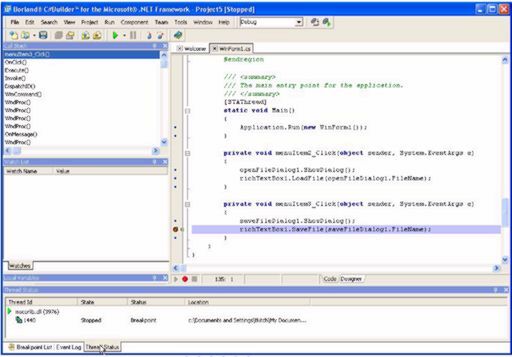 Two options for creating a new project include either a C# Assembly or C# Application. There's also an Options selection. 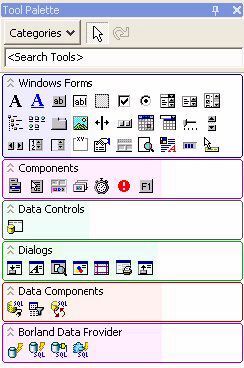 This is where I imagine (only guessing based on the icon displayed) one could select HTML among other things to create anew. 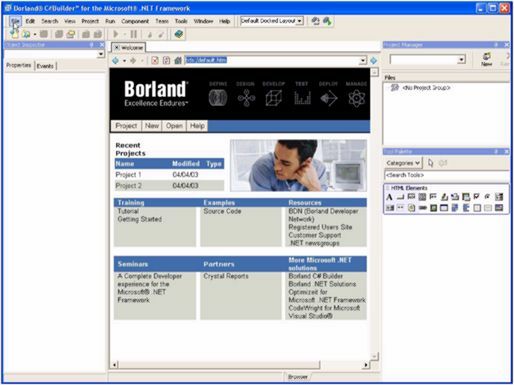 The Object Inspector and Project Manager are what we'd expect from Borland, which is good. 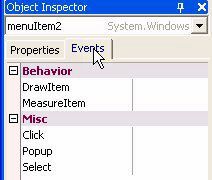 Within the Object Inspector / Events tab events appear to be categorized as either "Behavior" events or "Misc" events (Click, Popup, Select) -- I'd almost want to call this last set "Triggers" rather than "Misc". The Tool Palette, which is configurable, is off on the bottom right (an unusual default location for those of us who have been using Borland C++Builder and Delphi for a while), but it appears to be dockable at whatever location you desire. I like how the non-visual components are displayed on the bottom of the Designer window rather than on the form canvas. No chance in losing dialogs in the form. However, it appears you still need to initially drag them on to your form to select them (they just drop to the bottom of the Designer window). The top of the Designer window appears to have some useful alignment and sizing icons for ordering the visual components on the form. I'm curious as to the file format maintained for the Form. Is it a DFM / XFM, or something different? Apparently, (as shown in the next screen shot) it's maintained in the code. No more DFMs -- unless there's a hidden toggle to be able to do so, which might be nice for being able to re-skin an app or separate the GUI attributes from the code. 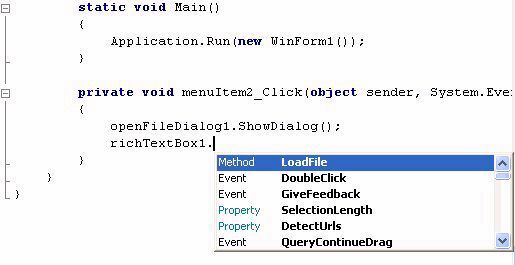 One thing I'm real glad to see, which I hoped for a few years back, is what appears to be collapsible functions within the Code Window. When you watch the demo, you'll notice tree-like glyphs representing icons for collapsing or expanding; these are displayed for each line associated to a function declaration within the code. Basically, from what I can tell, you can hide the details of a function by minimizing the - glyph, or exposing the details of a function by maximizing the + glyph. Very cool. Also, within the Code editing window, there's an interesting offering in the Tool Palette called "code snippets". Curious as to what these offer - my guess it's a rapid way to either toggle to other sections of code, or get at common or pasted code that you want to reuse. Setting breakpoints looks easy. I like the three tab Event Log providing not just the Breakpoint list and Event log, but a Thread Status. They also provide a useful Call Stack and, what you'd expect, the always handy Watch List. C#Builder definitely looks promising. You can only wonder if the next iteration of C++Builder 7 will match the look and feel of this C#Builder IDE. This webpage © 2003-2017 by Bob Swart (aka Dr.Bob - www.drbob42.com). All Rights Reserved.